you," I said. "To understand."! And to be honest that is why I read, to understand others and understand myself better. This book was a wonderful little read. I really enjoyed the way it was telling the chronology, of Watson's story but woven in and around memories of certain cases. There is also extensive involvement with Sherlock and his brother Mycroft. The is a wonderful young woman named Lucyna - Lucy Modjeska who plays a critical roll in the story and in a specific case. Lucy is a devote catholic and he faith has some influence on the three main men in this book, Watson, Holmes and Mycroft. Ann Lewis has written a wonderful book, using characters we know, and staying true to their personalities. In many ways this book is like visiting old friends after a long absence. We pick up with Holmes and Watson and see them later in life. Holmes is preparing to retire, Watson has extended his practice and well Mycroft is Mycroft. This story was engrossing and entertaining. To be honest it left me wondering what happens next. 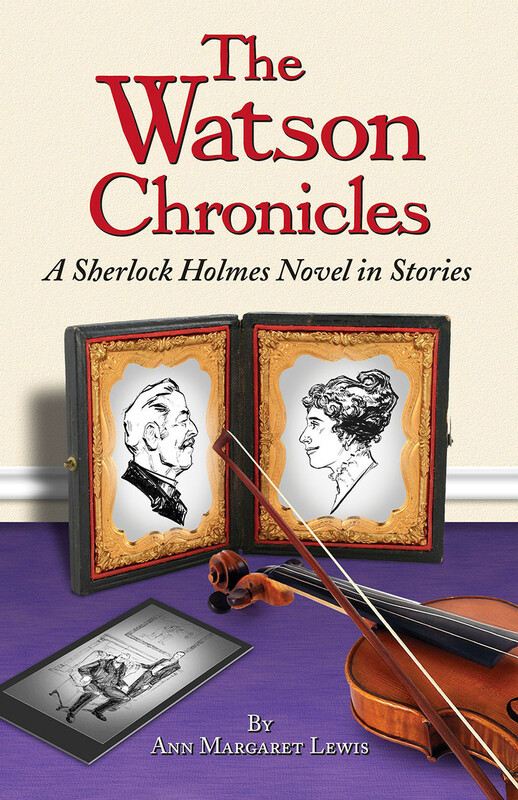 I want volume 2 of the Watson Chronicles. And hope that someday Lewis will deliver it. The book has some wonderful illustrations by Rikki Niehaus. There are not a lot of them but they are very well done and reminded me of illustrations in the Sherlock Holmes books that I read as a child. This book won the Catholic Writer's Guild Seal of Approval in 2013. And Adding my own praise I can state it is a wonderful fiction read. It is a great fiction story and the Catholic faith elements while subtle add a religious element to the story. I greatly enjoyed this read and to be honest am looking forward to sharing it with my father and being able to discuss the story. Overall I can highly recommend this book and look forward to reading Murder in the Vatican and hopefully soon more books from Ann.